Added on March 4, 2013 by cynthia zordich. Self worth. This is what I pondered heading into the week. I thought about my seventh grade students, wondered how they regarded themselves and worked through ways to pull it out of them. I came up with a simple question. If you were a product—why would anyone buy you? For an example- I made a trip to Toys R Us and searched the aisles for a familiar power couple who are very comfortable in their own skin, proud to promote their exchangeable equal parts and together now for 60 years: Mr. and Mrs. Potato Head. The kids cracked up when I set the boxes on the table. After Mr. and Mrs. P were assembled and re-assembled, after they swapped hats, smiles and body parts we started talking about the packaging. 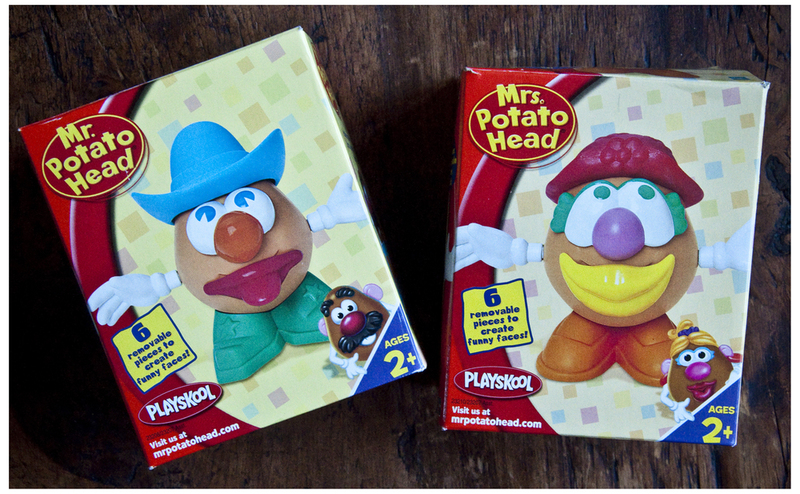 We made a list of all the great things Playskool had to say about the famous spuds. Based on their quality reputation, I wasn't surprised to see words like… classic, collectible, durable, versatile. From there the kids took to developing their own brand. When describing what was 'inside the box', I got a kick out of some of the things they wrote: caring, funny, talented, durable, not returnable, subject to availability. They gave instructions: handle with care, do not bend or break, keep away from fire. 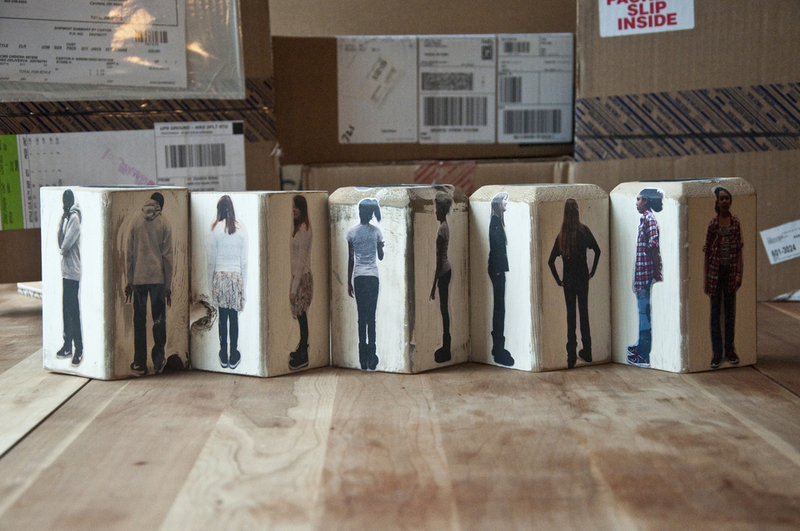 With packaging complete, we moved on to product and photographed each child. Front, back, side to side, head to foot. We smoothed blocks, painted them white and transferred their images to each panel. From there, I spread acrylic paints and brushes on the table and had them add their finishing touches of color. It was a rewarding project. It was awesome to see them step back and think about their selling points and to recognize themselves as a marketable commodity.